Samuel Wright was a key official for Liverpool Chess club for longer than any other member. He was a club official almost continuously for 44 years between 1863 and 1907. 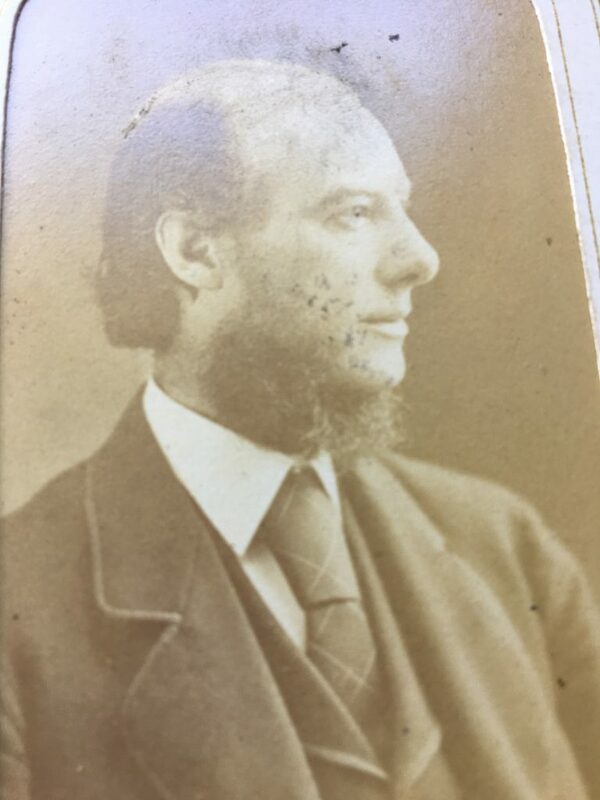 The club reports found on the history page of the website refer to Mr Wright on so many occasions that research of him will continue for some time. He first appears as club librarian in 1863 until in 1868 he became secretary until 1874. In 1875 he was Vice president and 1876 President. He was secretary again from 1878 to 1885 and at the same time between 1881 and 1884 he was also club librarian. 1886 saw him president and treasurer. Vice president again in 1887. Libraarian again in 1888/89. Treasurer from 1890 to 1907 which was his final position in the club. Mr Wright is also seen in the 1889 Main Liverpool photograph 5th from left on the back row. This is a photo of my maternal great grandfather whose history I have been researching. You may be interested to know that we still have both the portrait and silver tea set, presented to him by the club in 1899, in the family. Any further information on him would be appreciated!